Shrutika is a part of the Capacity Building team at Dasra. She comes with over seven years of experience in the development space. After completing her MBA, she worked with in the banking & insurance sector before moving to the not-for-profit sector. She started her journey as a teacher with Teach for India and later worked on the staff team in Delhi and Mumbai. She has also been instrumental in launching the India School Leadership Institute program in Mumbai. 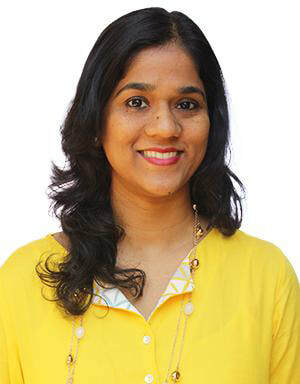 Prior to joining Dasra, Shrutika completed her Master’s in Public Administration from National University of Singapore where she worked on multiple social projects (from healthcare to sanitation), policy analysis and research.